April Showers incentive sale!! $1,500 in upgrades on any accepted offer on existing or BTO Tanzanite homes. 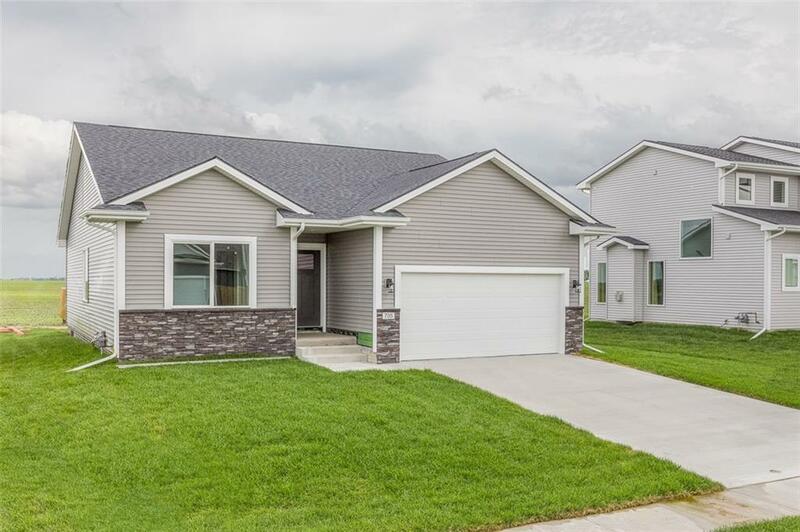 Call agent for full details.Â New transitional ranch by Tanzanite Homes Silver Series. The Amber plan features 3 bedrooms and 2 baths. Gorgeous kitchen with quartz counter tops, kitchen island, corner pantry, shaker style kitchen cabinets, and stainless steel appliances. Sun filled eat in kitchen with access to deck. Very open great room plan with stone fireplace. Great drop zone with built in lockers, and laundry. Master bath features double vanities, shower, and walk in closet. Maintenance free vinyl exterior, full sod, 2 car attached garage and a passive radon mitigation system. Many other homes sites and plans available, call agents for details. No closing costs or origination fee through preferred lender.